I love the flavor of gingerbread, especially at this time of year. This past weekend, I made pumpkin gingerbread, and ginger cookies remain one of my favorites. When I saw this recipe, I knew I wanted to try it. 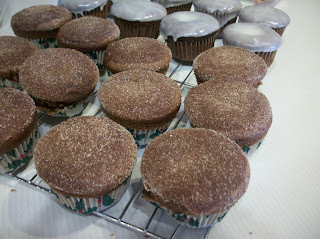 Although the original recipe made mini muffins, I made regular muffins and served them for brunch. Find more great ideas at Inspiration Monday, Mix it Up, Create Link Inspire, Clever Chicks, Fabulous, Show and Share, Hearth and Soul, What's Cooking, Wow Me, Wow Us, Full Plate Thursday, Foodie Friday, Food on Friday, Friday Frenzy. In a medium bowl, combine the flour, baking soda, salt and spices. Whisk to blend. In a large mixing bowl, using an electric mixer, beat the butter and sugar on medium-high speed until light and fluffy, about 2 minutes. Blend in the eggs one at a time. Mix in the molasses. Divide the batter between the paper lined muffin cups, filling each about two-thirds of the way full. Bake at 350 until the tops are set and a toothpick inserted in the center comes out clean, about 20-25 minutes. Transfer to a wire rack to cool. Combine the sugar and cinnamon in a small bowl and whisk until evenly combined. Dip the top of a muffin in the melted butter, then into the cinnamon-sugar mixture to coat with a thin layer. Repeat with the remaining muffins. 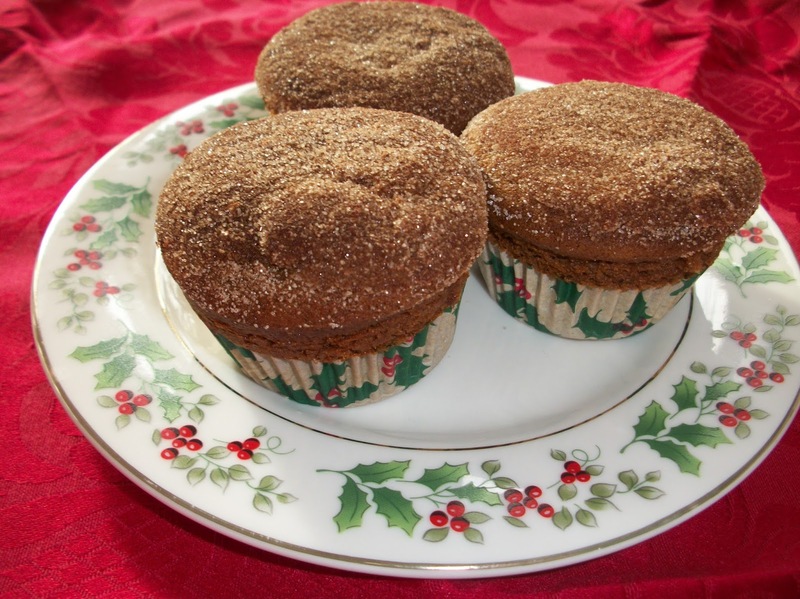 Your Gingerbread Muffins look perfect for the season! Hope you have a great week and thanks so much for sharing with us at Full Plate Thursday! 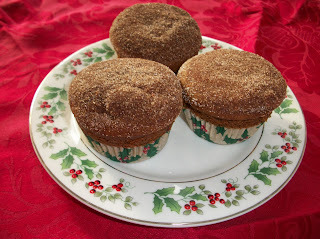 I love gingerbread, Sara, and your muffins look like such a tasty way to enjoy it. As Miz Helen said, they are perfect for the season! Thank you so much for sharing with us at Hearth and Soul. Hope to 'see' you again this week!